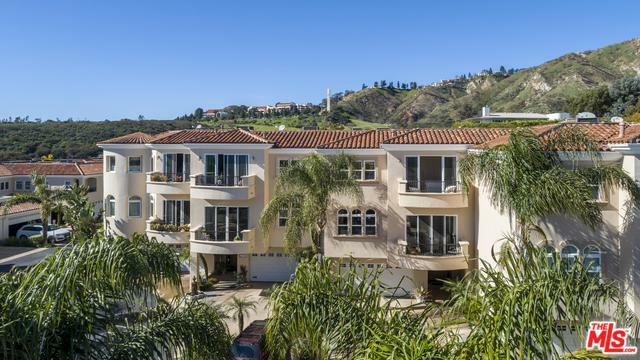 This elegant townhouse is offered for the first time in Toscana, an exclusive gated community located in the heart and urban center of Malibu. Enjoy ocean views and natural light filling the open and modern floor plan featuring high ceilings, custom designer finishes and hardwood floors throughout. The living room is spacious yet intimate, its fireplace elegant and the balcony offers cool ocean breezes. The open kitchen offers stainless steel appliances, a breakfast bar and center island with wine storage. 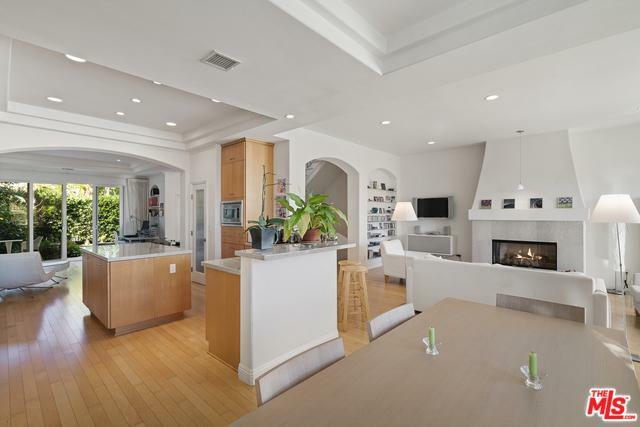 A spacious den opens to a beautifully landscaped private courtyard with lush outdoor patio and lawn area. The master bedroom is romantic, highlighting ocean views and twinkling city lights, an outdoor balcony and a fireplace that opens also into the master bath. The guest bedroom and outdoor balcony enjoy peaceful views of Malibu Canyon. Coveted private parking on your own driveway for four cars plus two-car garage. 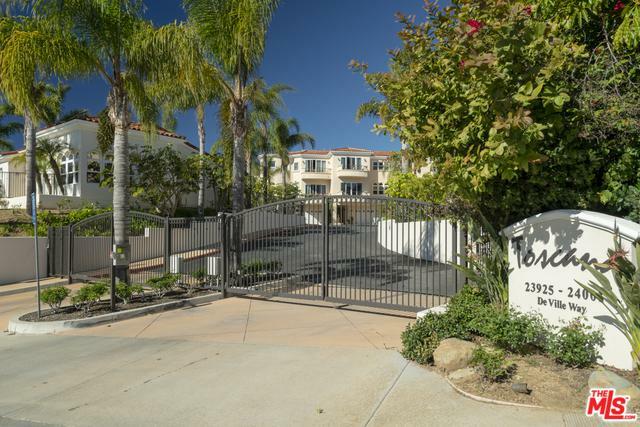 This gated community consisting of 22 townhouses. Listing provided courtesy of Barry Kinyon of Sotheby's International Realty.